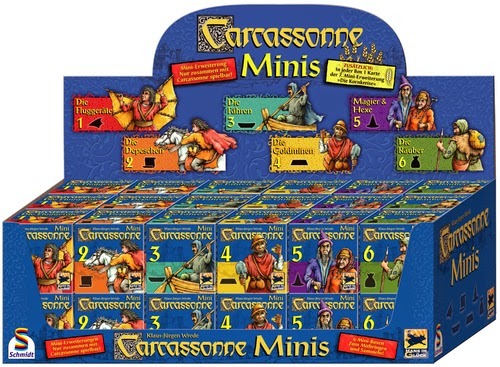 They're back in print and back in stock - Carcassonne Mini Expansions! Agent Hunter is a 2-player bluff and deduction game. Find and eliminate your opponents' 3 safe houses to win. Each attack on one of their houses may reveal too much about your own safe houses. Attack, bluff and outmaneuver your opponent is the key to victory. 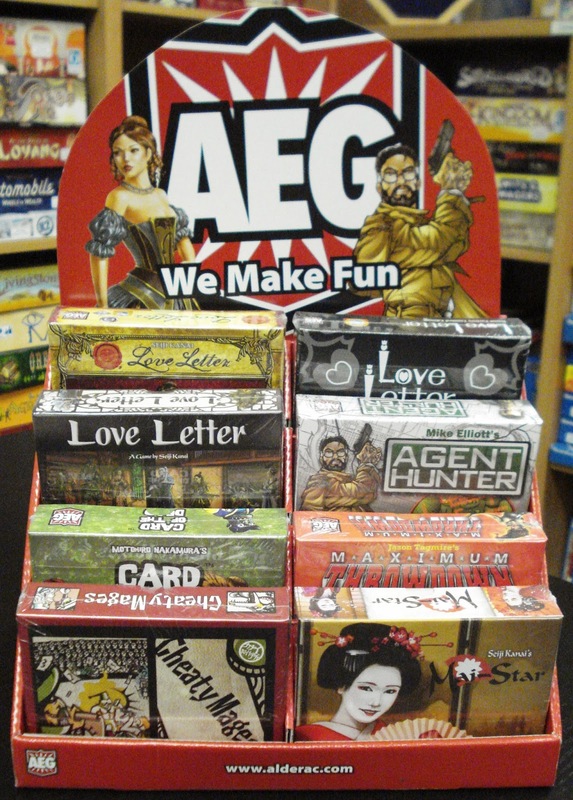 We have an open copy of Agent Hunter available for you to come in and try out. Card of the Dead is an action card game of survivall for 2-5 players. 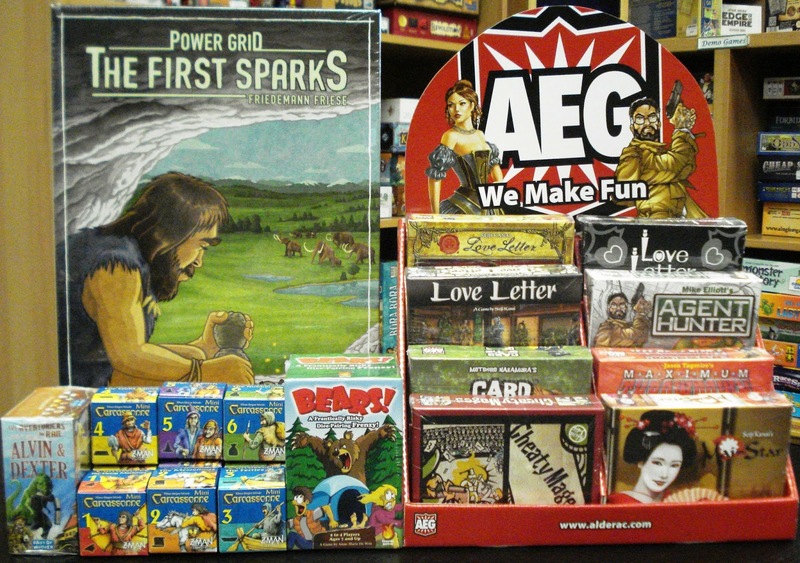 Players draw and play one card per round. Zombies must be played in front of you immediately. The rest of cards are used to flee the city or bunker down in buildings. Make the ultimate escape or just be the last one alive to win. In Cheaty Mages wizards get to bet on monsters battling in an arena. Naturally, wizards have spells to cast to help the monster they are backing. But cheat too much, get caught and your favorite monster can be eliminated from the competition. The wizard with the most gold wins. 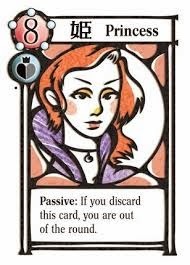 Love Letter is quickly becoming a classic micro-game. 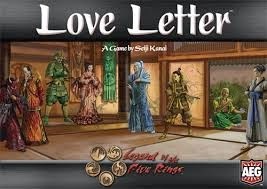 Love Letter now has the same great game in a boxed edition making it easier to store on your game shelf. 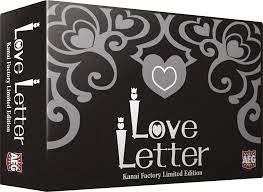 Love Letter Kanai Factory features art from the original game published in Japan. Love Letter Legend of the 5 Rings features art and characters from the Legend of the 5 Rings universe. Mai Star is a 3-6 player card game. 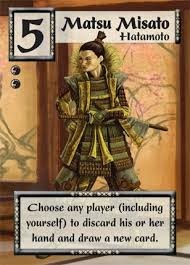 Players use cards to either enhance their geisha's reputation or to serve guests. Players will want to use their cards quickly. Cards left in their hand create negative points. After 3 rounds the player with the most money will be the most skillful geisha. We have an open copy of Mai-Star available for you to come in and try out. Maximum Throwdown is a 2-6 player card game where you try to dominate the cards on the table. Each player chooses a faction of cards. Each card has multiple icons representing points or special abilities. On a turn a player will flick a card from their hand onto the playing area attempting to cover icons showing on their opponents played cards. The object is to have your icons showing and your opponent's icons covered. Special abilities or points are only effective when they are exposed. Count you visible icons, score, then attack.